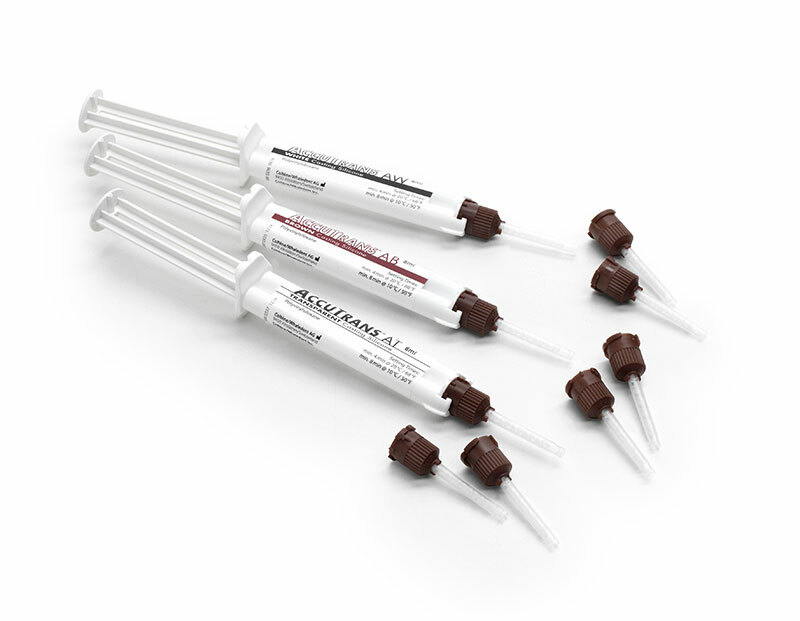 NEW: AccuTrans in 5 ml syringes! AccuTrans Casting Silicone is a low-viscosity, thixotropic elastic impression compound for taking accurate impressions on smooth, textured or rough surfaces. AccuTrans is ideal for lifting fingerprints as well as for taking long-lasting impressions of toolmarks, firing pins, cartridge casings, etc. AccuTrans can also be used for other industrial applications. AccuTrans has been specially developed for forensic applications. Fast. Easy. Accurate. Even on rough surfaces. No hand mixing required. Fast and easy to use. Accurate dispensing. Minimizes waste and reduces costs. Ideal for rough surfaces. Ridge detail is excellent, even on brick, styrofoam, textured computer housings and human skin. Flexible & accurate. Perfect for curved surfaces (e.g. bottle necks), horizontal and vertical planes. The setting time of regular AccuTrans is only 4 minutes at 20°C, AccuTrans Ice has a setting time of 4 minutes at 0°C. Long lasting. Prints are permanent on the lift and cannot be smeared or smudged..